Here are the projects we made in my March classes. Easter was the theme and I think these projects were perfect for the occasion. 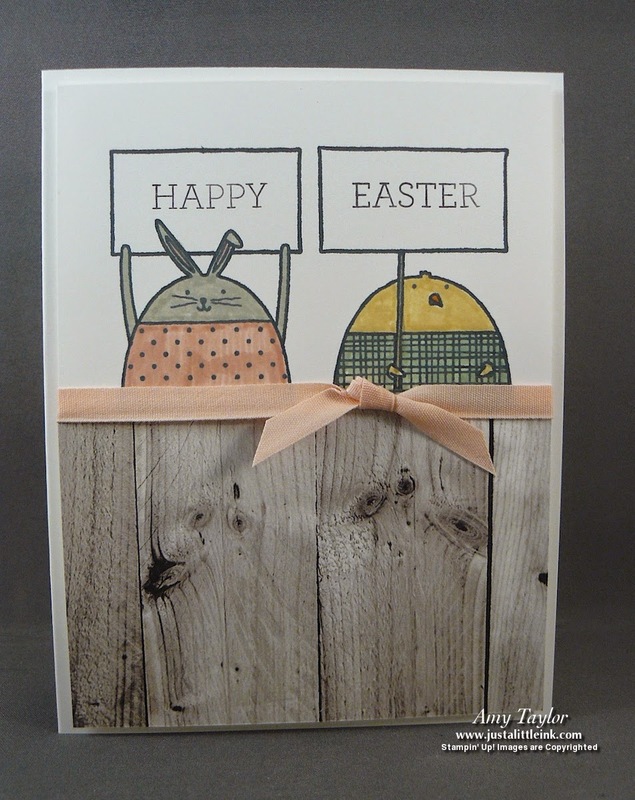 This card idea was shared at Stampin' Up! 's Leadership conference back in January. Theirs was a note-card sized card, but I wanted to make mine a 4-1/4"x5-1/2" sized card. This beautiful card idea came from my friend Kathy Howes. She said, however, that she got the idea from Dawn Griffith. It uses the Sale-a-Bration paper, Irresistibly Yours designer series paper. 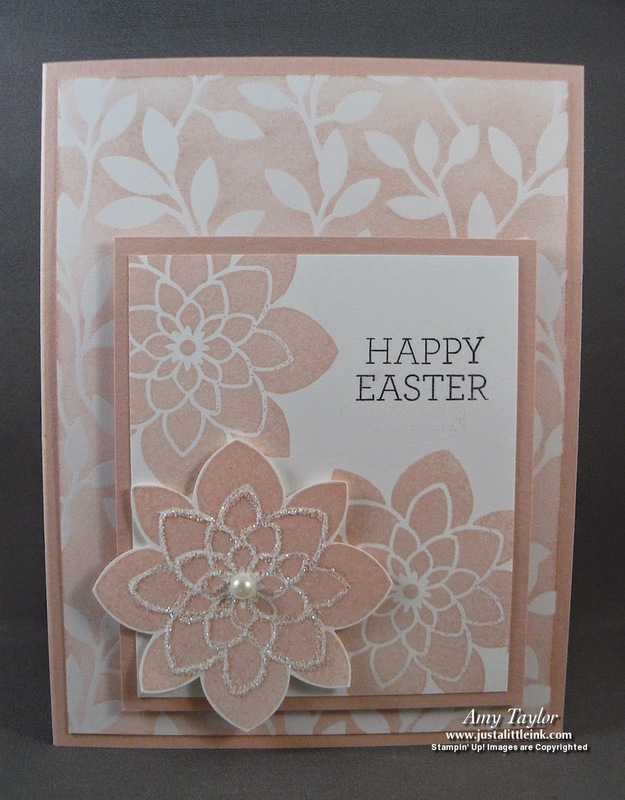 It's great for those emboss resist cards, and all the embossing has been done for you! The final project was this adorable basket. It's made from the awesome Berry Basket Bigz L Die for the Sizzix Big-Shot. Accented with a floral trim made using the Painted Blooms DSP, a bow made with the Bow Builder Punch. 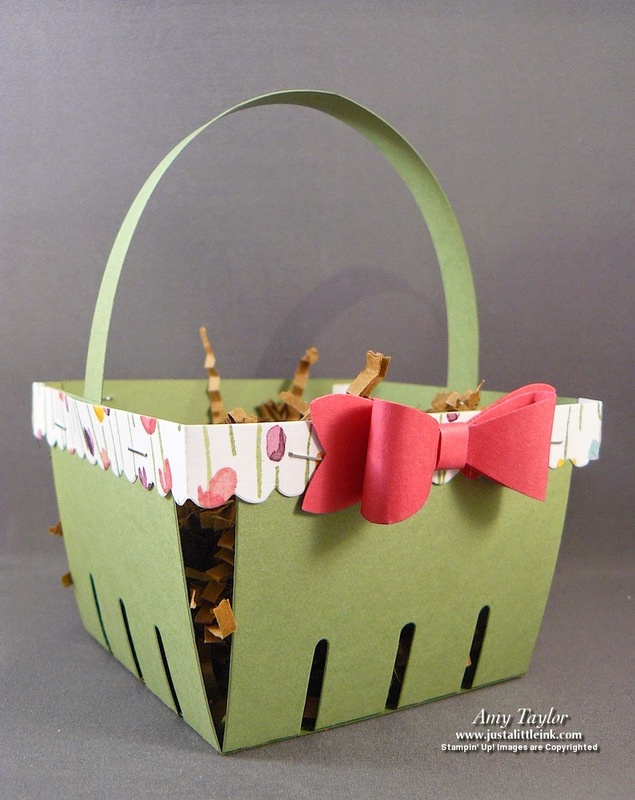 This basket idea from Claudia Maser.